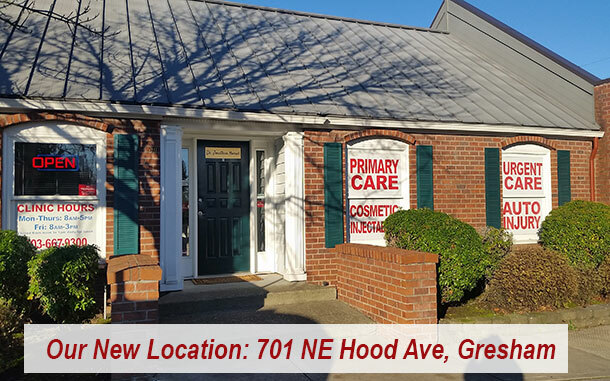 Urgent Care Clinic in Gresham Oregon, serving East Portland, Rockwood, Happy Valley, Troutdale and Sandy Oregon. Where Urgent Care is Almost Fun! We use a secure HIPAA compliant third party for our intake forms to protect your privacy. Just click on the link below to fill out your forms online for your urgent or primary care appointment. Save yourself some time at your visit! You can fill out the forms before or after you make your appointment. For treating one urgent condition, use this intake form. For physicals, primary care or treatment of chronic illness use this form. If it's URGENT, We Care! !